There is a range of official Licensed Doctor Who style Lego available, It is made by a company called Character building, they have the licence for most of the dr who products and toys on the market aswell as other toys even the angry birds plush toys. These are like most other imitation Lego on the market, they look very similar and fit perfectly with the official Lego bricks. Tardis mini-set with the 11th Doctor (with sonic screwdriver) & Amy Pond Minifigs (53 bricks) Official Description: Build your very own TARDIS and re-create adventures in time and space with the Eleventh Doctor and Amy Pond! The TARDIS, or Time and Relative Dimensions in Space, is the Doctor’s vehicle and home that can take him to any place and any time. Remember, its bigger on the inside than the outside! Includes constructible TARDIS, fully articulated Eleventh Doctor and Amy Pond micro-figures. Time of Angels mini set, with one weeping angel minifig (68 bricks) Official Description: The Weeping Angels are back! Recreate scenes from Series 5 Episode 4 with this Time of Angels playset…the Doctor and Amy along with River Song went hunting for a solitary Angel but discovered an army of them waiting for them! Highly detailed construction playset including a fully articulated Weeping Angel micro-figure. Dalek Progenitor Room miniset with one white Dalek (118 Bricks) Official Description:Join the Doctor on the Dalek Spaceship where five brand new, powerful Daleks have emerged from the Progenitor Chamber. They disintegrate the older “inferior” models and are now ready to destroy Earth! Help the Doctor save the day and finally defeat his oldest enemy! Highly detailed construction playset including a Dalek: The Supreme micro-figure. Each set is price at £10 and seem to be available from the well known toy shops, the quality of the bricks compared to other compatible Lego set are of good quality, not to the standard of official Lego brick but a lot better than other cheaper sets. Price wise compared to lego is good value. The one thing I didn’t like was that the picture on both the Dalek set and weeping angel set shows additional figures, but then does say they are not included, I think this is a bit unfair for children looking at the box as they will think they are included. The sets are easy to build, the only one problem with one of the models is the Tardis as the door can be a bit fiddly to get in right as you have to align small pegs on both with the top and bottom at the same time, The door can close also inwards and if fully inwards very hard to open back up. All the sets come with some sticker sheets to add to the models and you do get some spares of these. The Tardis model comes with a printed card board vut out that fits inside the tardis, this does give it extra depth. Out of the three models that are available at time of writing the disappointing one was the weeping angel one as not that many parts and I would class a bit boring. The minifigs or micro figures as they are called are very good compared to the lego minifig as they do seem to have more detail on them. 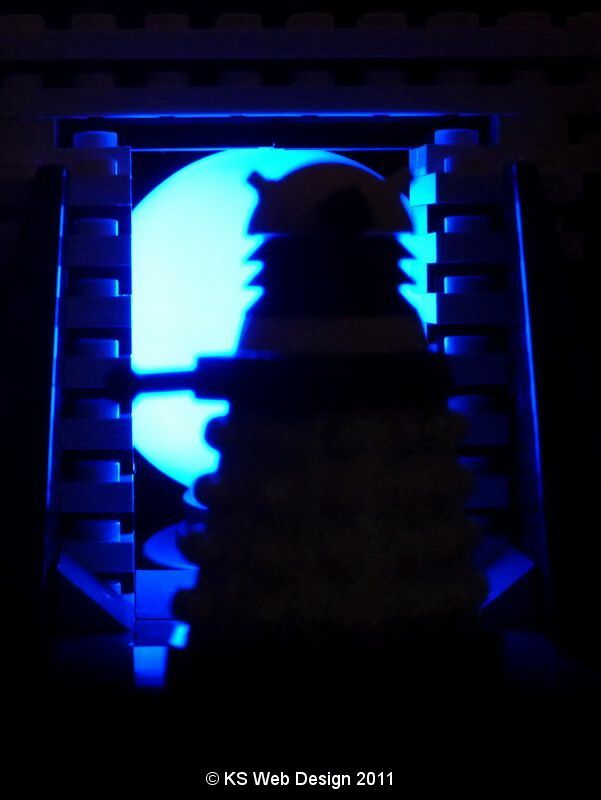 The Dalek models wouldn’t look out of place in a original Lego set. You can buy the micro figures separate, these are sold like the Lego minifig collections of recent as they are in sealed bags so you don’t know what figure you are buying at the moment there are ten to collect. The surprising thing was when I brought these three sets from toys r us they didn’t seem to sell these aswell, though not sure if out of stock I know Argos do them, they are priced at £1.99 each, if anyone reading this knows anywhere else yo can buy the figures, please let me know in the comments section below. I have also seem that there hopefully soon will be a collection of the previous doctors in micro-figure form, nit sure on pricing or if a set or individually, a box shot I have seen shows them in a box set out like the tardis police box. There seems to be some other sets coming out these are larger sets and they are the inside of the Tardis control room, the box shot I have seen comes with four figures the Doctor, Amy Pond, River Song & Rory and shows 250 bricks. The other is a cyberman conversion chamber set with two different cybermen micro figures and has 150 bricks. These sets were shown at the toy fair 2011. On the official website doesn’t show them at moment so not sure of release dates or pricing. As soon as I know they are out I will be getting them anyway, so will update with more info as soon as I have it. As a big fan of Doctor who and Lego these are great sets and will be getting these to collect as well as the micro-figures, so if you like wither lego or Dr Who I would recommend getting these sets. As usual with all my articles I have a photo gallery below with shots of each of the models within locations and backdrops that are in keeping with the models. I hope you like them.